If you are looking for tasty fried chicken snacks, it doesn’t get much better than Chicken Poppers. There are a few simple steps you can take to make them extra special for your guests; marinade, crust and sauce. 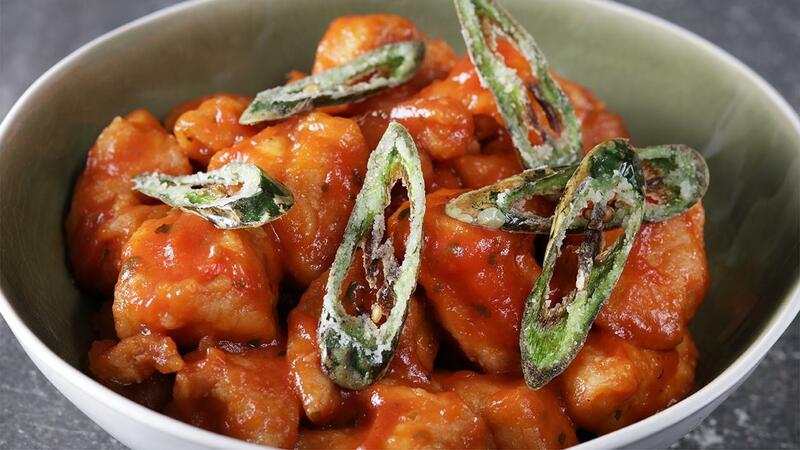 Check out the recipe below for Spicy Tomato Sauce flavored Chicken Poppers. Bring the water to a simmer in a pot, whisk in the Knorr Italian Tomato Sauce andchilli flakes and simmer for 1 min. add in the chicken poppers and coat well. Combine the corn flour and Knorr Chicken Stock Powder and coat the chillis dust off the excess and fry till crisp and golden, remove from the oil and drain on paper towel. Place the poppers in a serving bowl, garnish with crispy chillies and serve.